Block Imaging wants to be your partner. Let us put together a contract that works for your facility and ensures you’ll have helium when you need it. 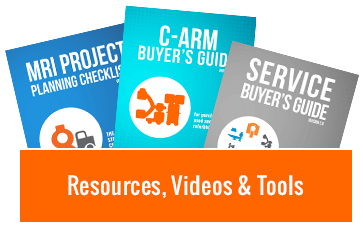 Many service organizations are finding themselves in a tough spot. They’ve committed to an allotment of helium for their full-service customers, but now that their product cost has more than doubled, they are having to raise full service pricing. They didn’t have a contract in place with their helium suppliers to keep their price per liter protected and now the trickle-down is hitting the bottom line for their customer- you. Even if you have a helium contract the lead times for a helium fill can be upwards of 6 weeks. Imagine what the wait might be if you don’t have a contract. It’s more likely you will be denied product or pay the highest price the market currently is bearing. Remote magnet monitoring is strongly recommended. This service offers the ability to catch an HVAC issue that would kick your compressor off over the weekend, identify when magnet pressure increases are causing increased boil-off, and monitor helium levels week over week. This kind of close attention greatly reduces the likelihood excessive losses. If you're operating an older-style magnet where excessive helium loss is inevitable, consider upgrading to a zero-boil off or high-efficiency magnet. We can help you with that too. Replacing your coldhead before it flatlines and scheduling regular preventative maintenance on your chiller are game changers that save you the stress and panic of needing a repair because you weren’t paying attention. Consult your records to know what your expected monthly helium loss is. With this information in mind, you can respond more effectively when/if you see an increase in the boil-off. If you have a new system coming on line, proactively notify your helium provider. Give them a few months heads up. They’ll thank you for it (this is a good idea even when there isn't a helium shortage). Keep your provider updated regularly on the helium levels of your current magnet(s) too. This helps avoid needing an emergency fill. They’ll thank you for that one too. 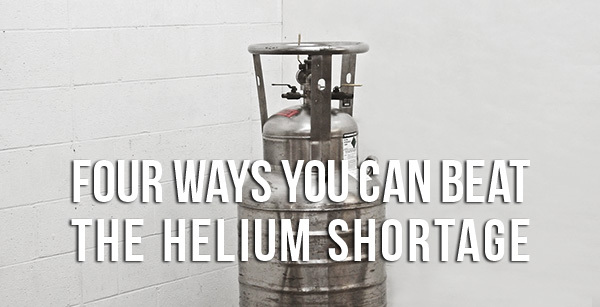 While there's no certainty of when the helium shortage might end (there's talk of new production beginning in 2020), there are ways to make the most of the current supply and keep your cryogen costs as low as possible in the meantime. If you're in need of a provider to help you with fills, service, or more efficient equipment, we can help with all three. Use the button below to tell us what you need.